Have you ever wanted to start from the ground up in the automotive industry? Ed Reilly Subaru is offering a unique opportunity to do exactly that! The Automotive Sales Apprentice role will learn what it’s like to work at a dealership while launching into a rewarding career in vehicle sales. Past customer service experience that is typically received within the fields of hospitality, banking, healthcare, and other customer/client facing positions traditionally transfers well into an automotive sales role. We would also welcome experienced sales professionals from other industries. Would you like to work for a family owned company that has flourished for over 25 years and consistently delivers a “wow” experience to our customers? Ed Reilly Subaru is your ideal place of employment! 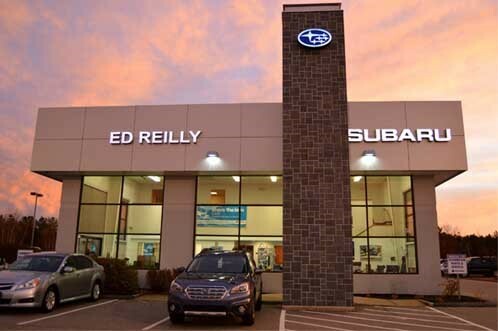 At Ed Reilly Subaru, we know that our commitment to our customers is no different than our commitment to our employees. We strive to provide a great work environment and create a dynamic company culture for every employee. We will pay you while training. Family owned and operated since 1994, we are looking for the type of dynamic individual who takes pride in their work and arrives every day with their game face on, ready to be part of the team. Is this you? Apply today! We have an immediate opening for a highly driven and motivated Automotive Sales Apprentice to join the Ed Reilly Subaru family. While previous automotive sales experience is not necessary, demonstrated customer service experience and people skills are required. We are looking for someone who is interested in building and maintaining relationships with our valued customers while promoting and selling both Subaru and other branded vehicles. This person will possess a “never give up” attitude. •Outgoing personality and “customer first” attitude with attention to detail. •Ability to study and train while learning sales processes and becoming a Subaru vehicle expert. •Dedication to customers while determining their needs and vehicle options. •Learn how to demonstrate vehicle features, performance, and technologies in the correct way. •Ability to learn vehicle purchasing and leasing options. •Basic computer, email, and Internet proficiency. •Professional appearance, while being punctual and maintaining a positive attitude. •Excellent verbal and written communication. •Minimum high school diploma or GED equivalent required. · Full benefits package including health, vision, dental and life insurance. · Retirement; 401(k) with employer matching. · Paid Time Off – Vacation, Holidays, Personal. · Continuous personalized training as needed. A pre-employment drug screening and clean drivers record is required. No walk-ins or phone calls, please.